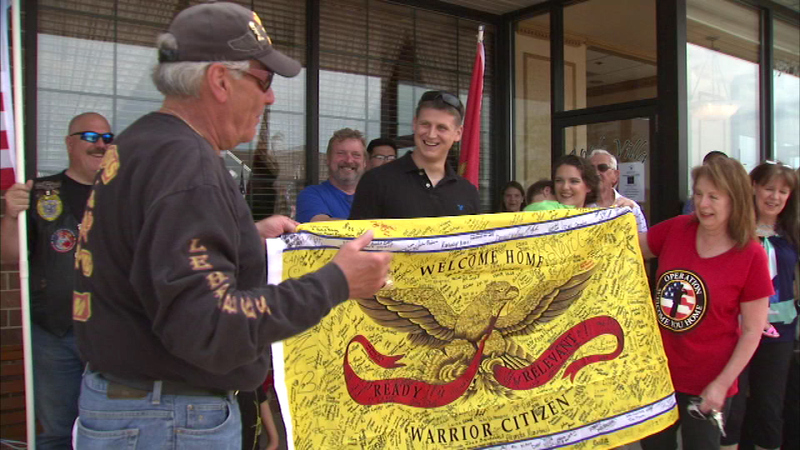 A west suburban Marine was greeted with a surprise welcome home ceremony Sunday morning. BATAVIA, Ill. (WLS) -- A west suburban Marine was greeted with a surprise welcome home ceremony Sunday morning. Sergeant Vincent Koenig of Batavia just finished up his third tour of duty. Volunteers showed up while Sergeant Keonig was eating breakfast with his family, sang to him and presented him with a flag. Sergeant Koenig said he is excited to spend time with his wife and two children, and hopes to pursue a career as a firefighter or police officer.